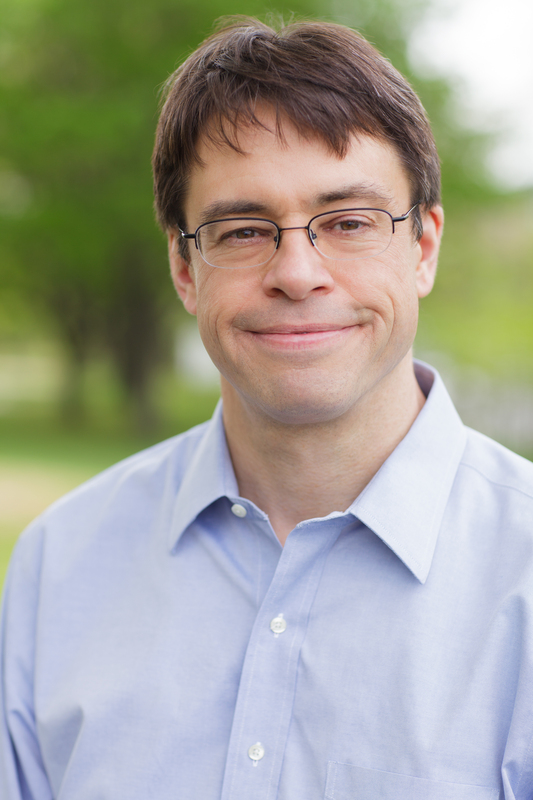 For the first time, an award-winning Harvard professor shares his wildly popular course on classical Chinese philosophy, showing you how ancient ideas—like the fallacy of the authentic self—can guide you on the path to a good life today. Astonishing teachings emerged two thousand years ago through the work of a succession of Chinese scholars exploring how humans can improve themselves and their society. And what are these counterintuitive ideas? Transformation comes not from looking within for a true self, but from creating conditions that produce new possibilities. Good relationships come not from being sincere and authentic, but from the rituals we perform within them. A good life emerges not from planning it out, but through training ourselves to respond well to small moments. Influence comes not from wielding power but from holding back. Excellence comes from what we choose to do, not our natural abilities. In other words, The Path “opens the mind” (Huffington Post) and upends everything we are told about how to lead a good life. Its most radical idea is that there is no path to follow in the first place—just a journey we create anew at every moment by seeing and doing things differently. “With its…spirited, convincing vision, revolutionary new insights can be gleaned from this book on how to approach life’s multifarious situations with both heart and head” (Kirkus Reviews). A note from the publisher: To read relevant passages from the original works of Chinese philosophy, see our ebook Confucius, Mencius, Laozi, Zhuangzi, Xunzi: Selected Passages, available wherever books are sold. A certain vision of history has become conventional wisdom. Until the nineteenth century, human beings lived in what we call “traditional societies.” In these societies, they were always told what to do. They were born into a preexisting social structure that determined their lives: born peasants, they remained peasants; born aristocrats, they remained aristocrats. The family into which they were born determined how much money and power they had, and so the trajectories of their lives were set from the day of their birth. The story continues: in nineteenth-century Europe, people finally broke free of these constraints. For the first time, we realized that we are all individuals who can think rationally. We can make decisions for ourselves and take control of our lives. As rational creatures, we can create a world of unprecedented opportunity. With these realizations, the story says, the modern world was born. But if some of us broke away, other cultures were left behind—or so we believe. To many of us, classical China represents the ultimate traditional society in which people were required to follow rigidly defined social roles in order to live within a stratified, ordered world. Thus, it must be a world that has nothing to teach us. Of course, at times this reading of traditional societies in general and China in particular has been given a romanticized spin: We now are alienated from each other, but people in the traditional world saw themselves as living in harmony with the cosmos. We have broken from the natural world and seek to control and dominate it, but people in the traditional world tried to live in accordance with the patterns of nature. This sentimental view of a traditional world, too, has nothing to teach us. It simply turns these so-called traditional societies into something akin to nostalgia pieces. We can go to a museum and see an Egyptian mummy and think, How interesting. An ancient Chinese artifact? How quaint. Intriguing to look at, but we wouldn’t want to go back to that time—to the world they represent. We wouldn’t want to live there or take any lessons from these traditional worlds, because they weren’t modern. We are the ones who finally figured out things, not them. But as you are about to learn, many of our stereotypes about these “traditional” societies are wrong. And there is much we can learn from the past. The danger of our vision of history isn’t just that it has led us to dismiss much of human existence as irrelevant, but also that we think today’s predominant ideas are the only ones that encourage people to determine their own lives; therefore, today’s ideas are the only correct ones. The fact is that there has been a wide range of visions of how humans can lead lives of their own making. Once we recognize that, we can see the “modern” for what it actually is: one narrative out of many, built from a specific time and place. An entire world of thought thus becomes available to us—one that challenges some of our most cherished myths. Most of us think of ourselves as essentially free, in ways that our ancestors were not. After we in the West broke from the traditional world in the nineteenth century, we finally had the ability to decide for ourselves how to organize the world. We spent two centuries grappling with various competing ideologies: socialism, fascism, communism, and democratic capitalism. And once all but one of those ideas was largely discredited, we finally arrived at the “end of history.” With the fall of the Berlin Wall in 1989, neoliberalism seemed to have won out as the one correct way of organizing the world—the one that best enables humans to flourish and prosper. But what do we make, then, of the unhappiness, narcissism, and anxiety surging in the developed world? We are told that hard work will lead to success, yet the gap between rich and poor has widened dramatically, and social mobility is on the decline. Our lives are mediated by all kinds of fascinating and impressive devices, we have achieved unprecedented medical advances, yet we face environmental and humanitarian crises on a frightening scale. Several decades later, our great optimism has disappeared. We no longer feel as confident as we did in the way we have structured our world. So how much have we figured out? Will historians look back on this era as one of prosperity, equality, freedom, and happiness? Or will they instead define the early twenty-first century as an age of complacency: a time when people were unhappy and unfulfilled; when they witnessed growing crises but failed to respond, feeling there to be no viable alternatives? The Chinese philosophical texts described in this book offer alternatives to this Age of Complacency. But they are not coherent ideologies that would, for example, replace democracy. Rather, they are counterintuitive notions about the self and its place in the world. And many of them were actually developed in opposition to the idea of living according to any overarching system of thought. From roughly 600 to 200 BC, an explosion of philosophical and religious movements throughout Eurasia gave rise to a wide variety of visions for human flourishing. During this period, which has come to be called the Axial Age, many of the ideas that developed in Greece also emerged in China and vice versa. In fact, in China, as we will see, certain beliefs arose that were very similar to those common in the West today. But in China, such views lost the day, while other ideas emerged in opposition, arguing for a very different path to a good life. None of what we are looking at should be considered “Chinese” views as opposed to “Western” ones, any more than we are dealing with traditional ideas as opposed to modern ones. As we explore these concepts, we will see that not only have people been debating how best to organize the world since long before the modern era but also that there are true alternatives in thinking about how to live well. When it comes to planning for happiness and prosperity in the West, we are taught to rely on our rational minds, confident that we can arrive at a solution by careful calculation. In the face of life’s uncertainty, we take comfort in the belief that by overcoming emotion and bias and reducing our experience to measurable data, we can master chance and defy fate. Consider our most popular approach to moral and ethical dilemmas: inventing a representative hypothetical situation and working through it rationally. In the famous trolley experiment, we’re told to imagine ourselves in a trolley yard, watching a runaway trolley coming down the tracks. We see it’s going to hit five people up on the tracks ahead. But if we pull a switch we can divert the trolley onto a different track, where one person is lying. Do we allow the trolley to plow into those five people, or do we pull the switch to save them—actively choosing to kill the single person lying there? This kind of question has occupied philosophers and ethicists for lifetimes. Countless essays—even a book or two—have been written on its implications. The scenario allows us to reduce decision making to a simple set of data and a single choice. Most of us think that’s how decisions get made. They tried these thought experiments in classical China, too. But our Chinese thinkers weren’t as intrigued. This is a fine intellectual game, they determined, but you can play these games all day long, and they will have no impact on how you live your ordinary everyday life. None whatsoever. The way we think we’re living our lives isn’t the way we live them. The way we think we make decisions isn’t how we make them. Even if you did find yourself in that trolley yard someday, about to see someone killed by an oncoming trolley, your response would have nothing to do with rational calculation. Our emotions and instincts take over in these situations, and they guide our less spontaneous decisions as well, even when we think we’re being very deliberate and rational: What should I have for dinner? Where should I live? Whom should I marry? Seeing the limitations of this approach, these Chinese philosophers went in search of alternatives. The answer, for them, lay in honing our instincts, training our emotions, and engaging in a constant process of self-cultivation so that eventually—at moments both crucial and mundane—we would react in the right, ethical way to each particular situation. Through those responses, we elicit positive responses in those around us. These thinkers taught that in this way, every encounter and experience offers a chance to actively create a new and better world. The breakdown of old aristocratic religious institutions left the people of the Axial Age in search of new sources of truth and meaning. Similarly, in our own age, we feel we have broken free of older, confining ways of thinking and are looking for new sources of meaning. Increasingly, we have been told to seek that higher truth within. The goal of a self-actualized person is now to find himself and to live his life “authentically,” according to an inner truth. The danger of this lies in believing that we will all know our “truth” when we see it, and then limiting our lives according to that truth. With all this investment in our self-definition, we risk building our future on a very narrow sense of who we are—what we see as our strengths and weaknesses, our likes and dislikes. Many Chinese thinkers might say that in doing this, we are looking at such a small part of who we are potentially. We’re taking a limited number of our emotional dispositions during a certain time and place and allowing those to define us forever. By thinking of human nature as monolithic, we instantly limit our potential. But many of the Chinese thinkers would argue that you are not and should not think of yourself as a single, unified being. Let’s say that you think of yourself as someone with a temper; someone who gets angry easily. The thinkers we are about to encounter would argue that you should not say, “Well, that’s just the way I am,” and embrace yourself for who you are. As we will see, perhaps you aren’t inherently an angry person. Perhaps you simply slipped into ruts—patterns of behavior—that you allowed to define who you thought you were. The truth is that you have just as much potential to be, say, gentle or forgiving as you do to be angry. These philosophers would urge us to recognize that we are all complex and changing constantly. Every person has many different and often contradictory emotional dispositions, desires, and ways of responding to the world. Our emotional dispositions develop by looking outward, not inward. They are not cultivated when you retreat from the world to meditate or go on a vacation. They are formed, in practice, through the things you do in your everyday life: the ways you interact with others and the activities you pursue. In other words, we aren’t just who we are: we can actively make ourselves into better people all the time. Of course, this is no simple task. It requires us to change our mind-set about our own agency and about how real change happens. Nor is it a quick process: change comes incrementally, through perseverence. It comes from training ourselves to broaden our perspective so that we can grasp the complicated tangle of factors (the relationships we’re in, the company we keep, the jobs we hold, and other life circumstances) that shape any given situation and slowly transform our interactions with everything around us. This broad perspective enables us to behave in ways that gradually bring about true change. While we have been told that true freedom comes from discovering who we are at our core, that “discovery” is precisely what has trapped so many of us in the Age of Complacency. We are the ones standing in our own way. Does this mean that we need, then, a radical new plan for how to live and how to organize the world? On the contrary, the philosophers we will explore often illustrated their ideas through mundane aspects of daily life, arguing that this is where great change occurs. Following their lead, we have included many quotidian examples in this book to bring their ideas to life. But these thinkers did not mean for these illustrations to be taken as prescriptive advice, and nor do we. Rather, they are meant to show that we already do many of these things; we just don’t do them well. As we rethink these aspects of our lives, we will understand how practical and doable the ideas really are. The title of this book comes from a concept the Chinese philosophers referred to often as the Dao, or the Way. The Way is not a harmonious “ideal” we must struggle to follow. Rather, the Way is the path that we forge continually through our choices, actions, and relationships. We create the Way anew every moment of our lives. There was no one unified vision of the Way with which all these philosophers would have agreed. Not only did they argue against the conventions of their own society, but also each offered a strikingly different vision of how exactly one creates this path. But they agreed that the very process of building it has endless potential to transform us and the world in which we live. 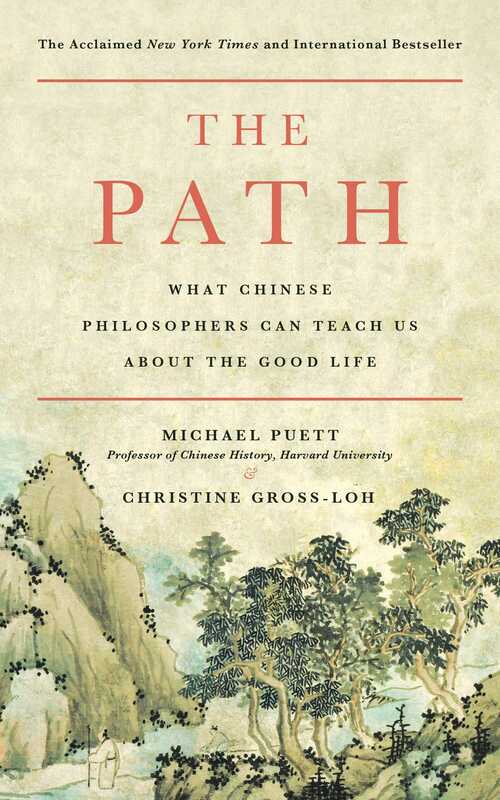 This reading group guide for The Path: What Chinese Philosophers Can Teach Us About the Good Life includes an introduction, discussion questions, ideas for enhancing your book club, and a Q&A with authors Michael Puett and Christine Gross-Loh. The suggested questions are intended to help your reading group find new and interesting angles and topics for your discussion. We hope that these ideas will enrich your conversation and increase your enjoyment of the book. Asian culture and philosophy have become increasingly popular in the West, but what if much of what we think we know about Chinese philosophy is wrong? This is the central question at the heart of Michael Puett and Christine Gross-Loh’s book The Path: What Chinese Philosophers Can Teach Us About the Good Life. Inspired by Puett’s popular class at Harvard University, The Path asks us to reconsider popular interpretations of Asian philosophy, shift our perspective, and learn how we can best apply the teachings of masters such as Confucius, Laozi, and Mencius in our own lives. Setting aside the notion of the importance of self-acceptance and transformation through large-scale change, the authors suggest that we reexamine not only our relationship to these philosophies but our daily habits in order to change how we live. Through an accessible discussion of popular Chinese philosophers and their teachings, the authors offer compelling new ways to consider life-changing questions, such as: Where does power come from? How can we make better decisions? How do we become good people and lead good lives? 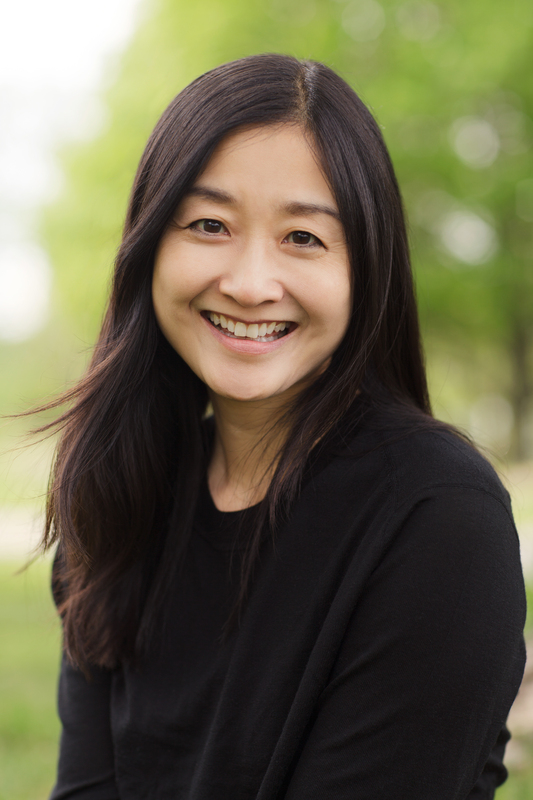 The Path is much more than a book about the West’s relationship with Chinese philosophy. It is a revelation and the starting point to a transformative journey that illuminates the power we have to create our world and live our best lives, if only we are willing to stray from the path we have known and open our minds and hearts to new perspectives. 1. In the Preface, what do the authors reveal as the central theme of the book? What do they say our vision of how to build a good life is rooted in? What is much of our current thinking a legacy of? 2. What vision of history do the authors say has been adopted as conventional wisdom? According to this story, what realizations allowed the modern world to be born? How did this story, including our view of “traditional societies,” influence our interpretation of Asian cultures? Why is this vision of history dangerous, and what are some of the myths born from this misunderstanding? 3. Where does the title of the book come from? What is the path to which the title refers? Why does the book reference so many mundane aspects of daily life? 4. What is the myth of globalization? What factors contributed to the development of the Age of Philosophy that saw the teachings of Confucius, Socrates, and the Buddha? What do the authors say unified the philosophical movements that sprung up during this time? 5. According to the authors, what fundamental and deceptively profound question was at the heart of Confucius’s teachings? What does it mean to respond through propriety, and how can we develop and refine our propriety? 6. What are as-if rituals, and why are they important? Why, for instance, did Confucius consider the ritual of ancestor worship essential? What do the authors say we must let go of before we can be transformed through as-if rituals? 7. How did Confucius define goodness? How would he suggest that we become a good or ethical person? Which is more important ethically according to Confucius: big changes or minor shifts? Explain. 8. What do the authors say primarily shape our decisions today? What can we learn about decision-making from the world-views of Mencius and Mozi? Do the authors suggest which view is better or more useful? What potential did Mencius believe we are all born with? How does this affect our decision-making? What is ming, and how should we respond to it? 9. According to Laozi, who is most influential in any situation? Where does true power come from? What do the authors say is the enduring power of the Laozi? How can we form the Way? 10. What is qi? As qi becomes more refined, what does it become? What kinds of qi are humans composed of? What can we cultivate in order to refine our qi, and how is this accomplished? What does it mean to “concentrate the qi as if you were a spirit” (137)? 11. What can Zhuangzi’s dream teach us about perspective and how to experience life more fully and spontaneously? How did his understanding of the Way differ from Laozi’s? What did Zhuangzi argue is the “one thing in the entire cosmos that does not spontaneously follow the Way” (144)? What is “trained spontaneity,” and how can it help us to become “true people” (158)? 12. What did the Confucian scholar Xunzi believe about self-acceptance? What does the tale of the invention of agriculture reveal about humans’ relationship with the world? What is artifice, and why would Xunzi say it is important? Why should we avoid thinking that everything in the world needs to be natural? 13. In Chapter 9, what do the authors reveal about how we have mistakenly interpreted Asian ideas? How have the teachings of Buddhism, for example, been misappropriated? How does our definition of mindfulness differ from the true Buddhist definition of this concept? 14. What ultimately connects the thinkers presented in this book? What commonly held ideas did all of these thinkers oppose? What challenge do all of these philosophers present, and where can we begin to answer this challenge? 1. The Analects purposely included descriptions of the daily habits and mundane activities of Confucius. Write a list of your own daily habits and mundane activities. What can you learn about yourself from considering (or reconsidering) these habits? How might you refine these habits to self-cultivate and create the Way? 2. Practice an activity that heightens your sense of vitality and gets you in the flow. Read a book, listen to music, take a trip to a museum, exercise, or participate in some other activity that refines your qi. How can you make these practices a part of your daily life? 3. Make a case for the reconsideration of a commonly held interpretation of a philosophy or teaching not presented in the book. How might we look at this popular philosophy or teaching in a new way? Discuss what you believe has caused us to misinterpret this philosophy or teaching in the past. 4. Like Zhuangzi, consider the world as if you were a butterfly pretending to be human. In other words, do something today that changes your perspective. Visit a place you have never been to or reconsider a familiar place, try a new food or activity, learn about a new culture, swap daily routines with a friend. How did this mundane experience change your view of your life and the world around you? Michael, where did you first get the idea to teach a course on this subject at Harvard University, and why do you think that the course became so popular? I had been teaching a version of this class for years to graduate students, but the readings were all in classical Chinese and hence accessible to only a limited number of readers. My hope for the undergraduate class was to bring that same level of engagement with the texts to a wider audience that could not read classical Chinese. I assign only the philosophical texts in translation, without any textbooks or secondary sources, because I want them to grapple directly with the philosophers and their ideas. It was very exciting to find that these ideas resonated so powerfully with these students. This generation of students seems particularly open to rethinking big ideas and has been very receptive to these rather counterintuitive teachings. Christine, can you tell us about a particular philosophy or teaching that you came to see in a new way during the writing of this book? Was there one in particular that really surprised you? I was quite surprised by the Confucian notion of ritual, as interpreted by Michael. I admit that before working on The Path I held some of the same stereotypes about ritual that we call into question in the book. I did spend many years living in Japan, which is where I first began to question our own culture’s fealty to authenticity and sincerity and to appreciate the transformative potential of ritual, but it wasn’t until we began writing this book that I started putting all the pieces together. Michael, since you were attempting to bring popular misconceptions about these philosophies to light, research must have been a bit challenging. Can you tell us a little bit about your research process? Most of the ideas came from decades of research I’ve done on the works of these philosophers and on conceptions of divinity and ritual in early China. This has formed the basis for my academic books and papers. But I found that misconceptions about these ideas very much continue in general history textbooks and in popular culture, so one of my hopes for the course and now The Path has been to help break down some of these common stereotypes. In fact, I first became interested in Chinese philosophy in high school, when I was becoming very interested in history and philosophy and reading everything I could find on these subjects. It’s then that I noticed a real difference between what I read about Chinese philosophy in textbooks, and what the texts themselves actually say. Does each of you have a favorite Chinese philosopher? If so, why? We both are drawn to the same philosophers, actually—Confucius and Zhuangzi. They are quite different in some ways (as The Path explains), and yet they are linked by a concern that one of our dangers as human beings is to fall into ruts and patterns of behavior—ruts and patterns that must therefore be broken. What was the biggest challenge in writing The Path, and how did you overcome this challenge? When we first began writing the book, we met an editor who told us, “It’s deceptively hard—but incredibly important—to write complex ideas as clearly and simply as you can.” This is so opposite of what most academics take to be good writing, and that comment stayed with us as we wrote and rewrote, trying to distill the ideas and make them come alive in a reader’s mind. Nothing is ever written in a vacuum, and we found it invaluable to send drafts to outside readers and get their feedback. Why did you choose to coauthor the book, and what was the collaborative experience like? What surprised you most about the process of coauthoring a book? We decided to coauthor the book because it just made sense to join forces: Michael had deep experience with the ideas that would form the basis for the book, and Christine was familiar with these philosophies and also had experience writing for a popular audience. It seemed an expedient way to get these important ideas out there. Although it could be challenging at times to coauthor a book, it was also helpful because we could run ideas by one another and discuss them before even committing them to words on paper. It was also helpful to have someone with whom to “divide and conquer” all the various tasks that go into the writing and publicizing of a book. Maybe the most surprising thing was that coauthoring can actually be just as laborious as writing a book by oneself. In fact, in some ways it’s harder: phrases have to pass muster with both authors, chapter structures have to be agreed upon, and all this requires a lot of back-and-forth. But book writing is normally a very solitary occupation. In our case the upside was that we each had a partner with an equal stake in how things turned out.